Bernard specializes in real estate transactions, corporate matters, estate planning and municipal law. Bernard entered the profession as a trial attorney for the Equal Employment Opportunity Commission in its Denver, Colorado office. With an offer to join the Japanese law firm of Sogi & Tsuchiya in 1974, Bernard spend two years in Japan working on international transactions and related legal issues. In his present practice, Mr. Gordon represents a broad range of Japanese business entities and individuals. Bernard represents business clients in the airline, real estate development, film and television industries and general businesses, providing extensive corporate and commercial legal advice including a wide variety of commercial transactions, sales, distribution, licensing and leasing matters, sweepstakes, copyright and trademark issues. Additionally, Bernard has broad ranging expertise in real estate transactions representing individuals and businesses in the sale and purchase and refinancing of residential properties, the sale of commercial buildings, and the leasing of commercial space. 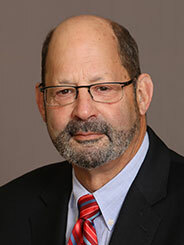 He also works with New York residents on estate planning and probate matters, and advises on local municipal law issues gained from over twenty-five years serving in elected and appointed government positions with the Village of Pleasantville, N.Y.